One of the most remarkable women in a period of remarkable women, Elizabeth Hardwick married four times, with each marriage improving her economic and social status. At a time when women couldn't improve themselves by upward mobility through ecclesiastical, educational, military, or legal institutions, Bess of Hardwick, as she came to be called, could use the institution of marriage to great effect. Although the date of her birth is unknown, Elizabeth was probably born in the year 1527, the fourth daughter and fifth child of John Hardwick of Derbyshire and his wife, Elizabeth Leake, the daughter of Thomas Leake of Hasland. 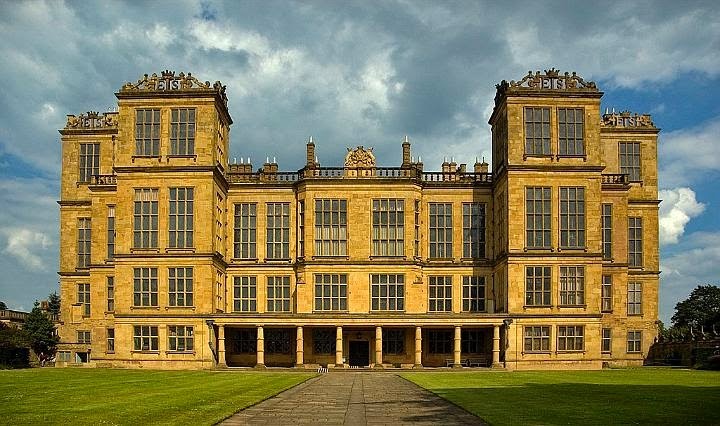 The Hardwicks were minor gentry--but by the time Elizabeth Hardwick died in 1608, she had become a countess (the countess of Shrewsbury) and was one of the richest women in England, her notable building projects including Chatsworth House and Hardwick New Hall. Indeed, in her excellent biography of Elizabeth Hardwick, Mary Lovell uses the subtitle "Empire Builder" to describe this remarkable woman. She built a lasting empire in blood, stone--and silk thread. Elizabeth's father died in January of 1528, when she was still an infant, leaving his widow with six children (another daughter was born after John Hardwick's death). In his will, Hardwick left his lands and property to his son and small marriage portions for each of his daughters. Hardwick's widow had difficulties with the Court of Wards, however, and her son's wardship was taken out of her hands and her income severely reduced. She rather quickly remarried, probably when Bess was about two years old, and thereafter gave birth to three more daughters. In the mean time, there are simply no details about Bess's education, nothing, in fact, until she is about twelve, when she is placed into the London household of Anne Gainsford, lady Zouche. By the time she was about fifteen, probably in May of 1543, she married Robert Barlow, a thirteen-year-old boy who was also a member of the household, who died in December 1544. Although Bess should have received a widow's dower, one-third of the income from her husband's estates, this was refused, and she had to go to court to fight for what she believed was her due. (In court documents, Bess explained that she couldn't expect any support from her mother, since her mother's second husband was in debtor's prison!) --her mother, she said, was "very poor and not able to relieve herself," much less her own widowed daughter. She finally received her widow's rights but only after several years of court wrangling. In the mean time, she married William Cavendish on 20 August 1547--and I've used that date as the reason for posting today. It's one of the only specific, irrefutable dates for her life to this point. Cavendish was a member of Tudor court, a member of the privy council of the new king, Edward VI, and his Treasurer of the King's Chamber. At once, Elizabeth Hardwick Barlow became Lady Cavendish. In the next ten years, until William's death in 1557, Bess gave birth to eight children, six of whom survived infancy. But when William died, she found herself once more in financial difficulties--her husband had been accused of stealing royal revenues. Bess refused to sell off her husband's properties, including Chatsworth, to pay off his debts. Instead, she chose to build--and to marry again. When William St. Loe died in 1565, Bess found herself a widow for the third time, but she was no longer a poor widow. She was enormously wealthy and, back in Elizabeth's favor, had become a member of the queen's bedchamber. A few years later, in 1574, Bess was able to arrange yet one more marriage to further her climb up the social ladder--one of her daughters, Elizabeth Cavendish, was married to Charles Stuart, the son of Margaret Douglas, countess of Lennox (Margaret was the daughter of Margaret Tudor, the sister of Henry VIII who had married the king of Scotland; her elder son, Charles's brother, was Henry Stuart, lord Darnley--the one who married Mary, Queen of Scots--got all that? This marriage, too, resulted in trouble for Bess. For their involvement with this marriage plot, which involved claims to the throne, both Margaret Douglas and Bess wound up in the Tower. By January 1575, Bess of Hardwick was released--there was no evidence that the two women were engaged in treason when they engineered the marriage of their children. But there is no doubt that Bess of Hardwick hoped that her granddaughter, Arbella Stuart, would one day be queen. 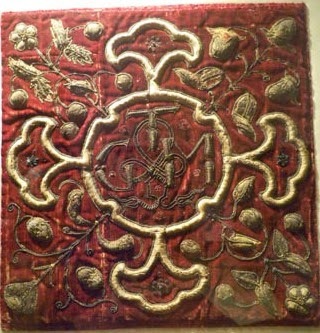 Bess of Hardwick is also notable for her artistic achievements in the medium of needlework. She amassed an extraordinary collection of tapestries, hangings, and carpets for her great houses. 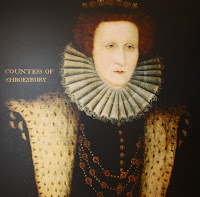 As countess of Shrewsbury, Bess of Hardwick found herself as a companion and guard for Mary, Queen of Scots, while she was a royal prisoner. Together the women produced worked cushions, bed hangings, and wall coverings, their needlework stitches including emblems, flowers, and animals. As Susan Frye writes, "the two became intensely involved in creating textile works that embodied more personal expressions of identity than tapestries produced in professional workshops." Frye concludes that, in her work, Bess moved from being a "skilled needleworker" into "a textile artist." Bess of Hardwick died on 15 February 1608. Bess of Hardwick's letters (more than 200 of them) are all available online at a wonderful site, Bess of Hardwick's Letters. Complete transcripts are available, as is a range of wonderful background material. On her needlework, Susan Frye's work, quoted here, is Pens and Needles: Women's Textualities in Early Modern England. For the pictures, there's Santina Levey's The Embroideries at Hardwick Hall: A Catalogue--it is hugely expensive, but maybe inter-library loan? 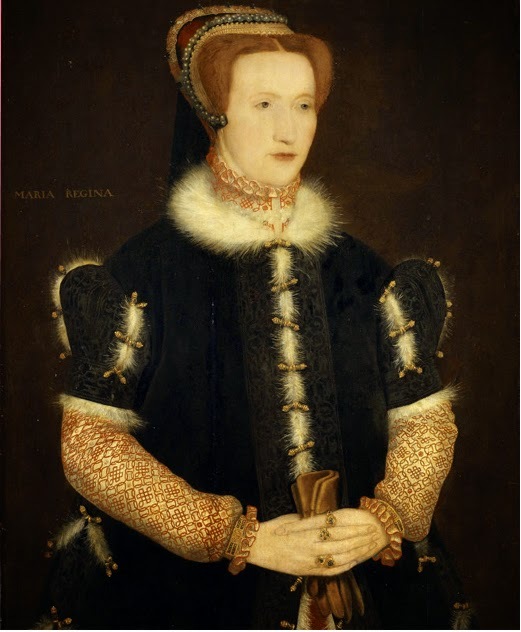 For a biography, I like Mary S. Lovell's Bess of Hardwick: Empire Builder.